False Accusations - PROTECT FARMWORKERS NOW! 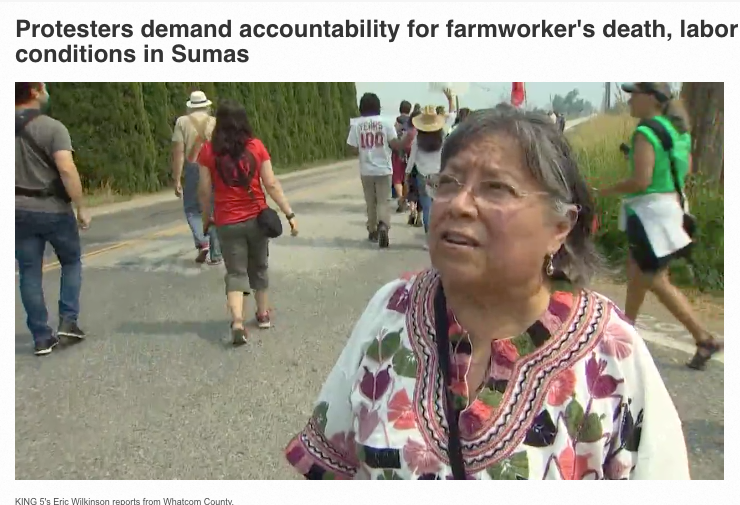 Sumas berry farm faced three intensive Labor & Industry investigations. ​what did the investigators find? One more investigation by the Washington State Department of Labor & Industries of the Sumas berry farm shows the accusations against them are false. Here's the story in the March 26 issue of Capital Press. This time it was a complaint filed by a worker one month after the incident supposedly happened. He said he smelled chemicals and got a headache. This triggered a third L&I investigation and found no evidence of pesticide exposure. After three intensive investigations caused by the numerous accusations against the farm by anti-guest worker activists the only thing the state investigations found was the farm had missed one rest break and served one meal late. Huh? How many rest breaks have you missed at work? If your employer was required to serve you your meals, how much would they be fined if one was served late? $150,000? That's how much the Sumas farm faces in fines because of the two "violations." The political pressure put on the Department by these activists is without question the cause of this excessive penalty. The Department risks losing credibility even as the numerous and continuously repeated false accusations of the activists leaves them with no credibility except with their dedicated few who refuse to face the facts. L&I also found no evidence workers were exposed to pesticides and was later found to have levied a larger than normal fine against the farm for missed breaks due to “publicity” surrounding the worker’s death. Presione aquí para la traducción de esta página al Español . It's one thing to organize unions. It's quite another to do so through lies, false accusations, distortions and exaggeration. Here is a compilation of just a few of the examples of the dishonesty displayed by the union activists behind this activity. H2A workers at Sarabanand [sic] Farms (all men) have been experiencing the "normal" conditions of serious overwork at the height of the berry picking season and not enough (and poor quality) food. They were not being offered sufficient breaks, and were told that if they missed three days of work, they would be terminated and sent back to Mexico. Because of this pressure, despite the heat and smoke (Sumas reached the "purple" air quality designation last week--dangerous for anyone, even healthy folks, to exert themselves outside), the workers kept working. Several workers collapsed. One worker went into a coma from heat exhaustion exacerbated by poor air quality and ended up at Harborview. This worker died last night. Mr. Silva-Ibarra suffered from diabetic ketoacidosis and diabetes mellitus, and died due to natural causes according to the death certificate. According to published reports and from the Sarbanand statement, farm managers were unaware of his untreated diabetes until notified by the worker’s nephew. They immediately called 911 and the man was taken to the hospital. The temperature was in normal ranges and given that the workers are accustomed to working in much higher temperatures in California and Mexico, it is very unlikely that heat played a role. The statement that the worker went into a coma from heat exhaustion presumes a cause which they could not possibly have known and is not reflected in the public records reporting the cause of death. The circumstances surrounding this tragic loss is being investigated by the Department of Labor and Industries. It has been reported to other area farmers that activists were operating in the fields with the workers well before any work stoppage or protests occurred. A group of workers walked off the job prior to the death of the worker and continued to live in the free housing provided by the farm. Their contract states that if they abandon their jobs after five days, the farm is freed from the obligations of the contract including providing free housing, food and transportation. The guest worker program relieves the farmer of any further responsibility toward the workers for transportation and housing if they have abandoned their jobs. However, and under no obligation under the H2A contract, the farm management continued to offer to pay transportation to return to Mexico to the protesting workers. Nearly all protesting workers did return to Mexico but not all. Reports indicated that they were found working on farms in Eastern Washington, a violation of their contract. On August 5, 2017 our Officers responded to a call for service at the Fairhaven bus terminal. Officers were faced with a civil situation that they problem solved with all the people involved. Recently, we were made aware of some misinformation circulating in the community in regards to the Officer's action that day. Our department is being accused of "stopping a bus and not allowing anyone off of the bus by threatening those on the bus with immigration violations." A statement provided by the farm addressing a number of these issues on August 15, 2017 is available on the right column on this page. Working conditions described by union activists, if true, would result in serious consequences for any farmer. "...because of degraded living and working conditions, including inadequate and potentially contaminated food, inadequate water, no access to health care, inadequate work breaks and working in dangerous environmental conditions that included high temperatures and extreme air pollution resulting from forest fires; and...farmworker Honesto Silva Ibarra died due to these dangerous conditions and many other farmworkers fell ill due to the same conditions..."
These are very serious accusations and, if validated by investigations, would result in serious consequences. The law does not allow for these conditions and with frequent inspections by multiple regulatory agencies as well as third party audits required by buyers of farm products, it is almost certain that none of these accusations are accurate. Union activism initiated by the Community2Community worker center began in 2013. This documents a few of the lies, distortions and false accusations publicly made by the activists and FUJ, the union created by Ms. Guillen of Community2Community. Low wages and poor working conditions at the Sakuma Brothers Farm in Washington State prompted over 200 seasonal farmworkers to go on a series of strikes earlier this summer, starting July 10th. They returned to work on July 26th after a series of negotiations, believing that the managers would continue to negotiate in good faith, but then resumed their strike when the company did not follow their agreements. The arrival of 170 H-2A guest workers contracted by the Sakuma Brothers Farms is clearly an attempt to undermine the Sakuma farmworkers’ bargaining power, displace local labor, and ultimately, depress wages. [i, ii] The Sakuma farmworkers’ demands reflect the need for drastic policy changes in labor and immigration law that extend far beyond the fields of Sakuma Brothers Farm. The accusations against Sakuma arose from the arrival of the 170 guest workers. The guest worker program ensures wages higher than minimum wage for all workers employed by the farm, not just the guest workers. The charge of depressing wages is false. Similarly, worker housing, food, transportation are all covered under the agreement. Housing must meet federal, state and local standards. The accusation of displacing local workers is equally false because the program ensures that guest workers can only be used if and when the employer is not able to secure domestic (local or from other areas in the US) labor that is able and willing to work. Given the significant costs and hurdles involved in using the H2A program, farmers typically use it as a last resort when crops cannot be harvested with domestic labor alone. The statement that drastic policy changes are needed make it clear that the intent is political and the false accusations show that the activists’ concern is not worker conditions but the ability of unions to organize workers. To push this agenda, they find it necessary to demonize the farmer. In the several years of Sakuma worker action, the news media carried numerous accusations that were not true. Efforts to correct the record with news outlets were not successful. When the guest worker program is used as in this case, all workers – domestic and guest – are guaranteed a wage rate considerably higher than the minimum wage. This is called the "Adverse Wage Rate" and is set by the Department of Labor to protect the interests of local workers. Because of Washington state's high minimum wage, the Adverse Wage Rate for farm workers in Washington is higher than anywhere else in the nation. Harvesters are often paid on a piece rate basis to incentivize production and because of this many of the best workers are paid far above minimum wage or the higher Adverse Wage Rate. Sakuma reported at the time that some were paid as much as $30 an hour and more when the fruit was in high production. Those who are not as productive are still paid a guaranteed minimum wage as required by law. Certainly, workers who are not able to work at a rate that justifies the mandatory wage are rightfully not considered able and willing. No employer is forced to hire employees that refuse or are unable to perform the work for which they are hired. The Stranger: Luis was not making minimum wage this summer, despite working eight-hour days on his knees picking strawberries for Sakuma Brothers Farms, he and his family say. I deserve to get paid minimum wage, and that's it," he said. "They weren't paying the kids minimum wage for the whole season." FACT [from Sakuma]: We did have a payroll glitch early this summer which was outside of our control. But, it was corrected immediately and those employees were paid their full amounts. We use ADS (DataTracK), which is well-known for its highly-reputable electronic data tracking. We download the data from our in-field electronic scanners and this combined with registration data (name, date of birth, address, etc.) is then sent to ADP who cuts the check. ADP’s payroll program takes care of all aspects of payroll including the proper withholding and related deductions. ADS had a programming problem when they transitioned payroll calculations from 2012 to 2013 which impacted a very small group of workers who were also minors. Due the glitch, these workers were treated as “exempt” from minimum wage. As soon as Sakuma Brothers Farms discovered the problem, we manually calculated the earnings of every affected employee and they were paid the full amount earned. ADS made the programming correction and the system has worked fine since then. Fired for leading strike activity? The Stranger: Photo of Berry Pickers in the field with the caption: Workers allege that Ramon Torres, below, was fired for his role in recent strikes. The spokesperson for Sakuma Brothers Farms insists Torres was fired for other reasons. FACT [from Sakuma]: The one and only reason for the firing of Ramon Torres was due to his recent arrest for domestic violence and spousal abuse. Ramon was arrested by Skagit County Sheriff officers on August 30th (Case Number C00062705) at the farm workers camp at Sakuma Brothers Farms. According to the arrest report, Torres had pushed his wife Deanna Torres as well as “hit her and pulled her the previous day.” We take domestic violence very seriously, especially spousal abuse in our housing. Due to safety concerns for all workers and people in the camp, we had no choice but terminate him and remove him from the camp. Our society has witnessed too many deadly instances when domestic violence and spousal abuse were ignored or covered up. The fact is that Ramon Torres was arrested for assaulting his wife and, thus, was considered a threat to the entire camp. Security to protect farm or farmworkers? The Stranger: “Security guys" hired by the farm since the strike began following her around. "One of them... he would pop out. I was kind of scared to go to the bathroom, so I would go before it got dark." Deanna, Ramon, and their daughter have since moved out of the labor camp and into a Burlington apartment. But the rest of the workers still had to contend with the farm's hired security personnel hovering around. FACT [from Sakuma]: We do have security outside the camps because many workers have told us they have been threatened or intimidated by the organizers of the labor committee to join them and go on strike. These workers have told us they simply want to do their jobs and earn money which is why we asked the security team to assist. No one followed Deanna Torres around but given that her husband was arrested for domestic violence against her, the security personnel nearby only added to her safety in the days that followed his arrest. There were numerous other accusations made against the farm that were false and vicious but still widely published and aired. Sakuma Farms attempted to set the record straight with the Sakuma Facts website but their efforts were not published or broadcast in any significant way by any media outlet covering the story. Rosalinda Guillen, director of worker center Community2Community has proven to be a very savvy media activist, securing broadcast and print reports that report her false accusations and distortions without question or inquiry. KING5 TV's report painted exactly the picture of farmer abuse she wanted without reasonable effort to determine if there was validity. Despite being distributed shortly after the loss of the worker, only one media outlet conveyed this vital information. Justice for farmworkers also means that media outlets need to more carefully investigate claims of farmer abuse. 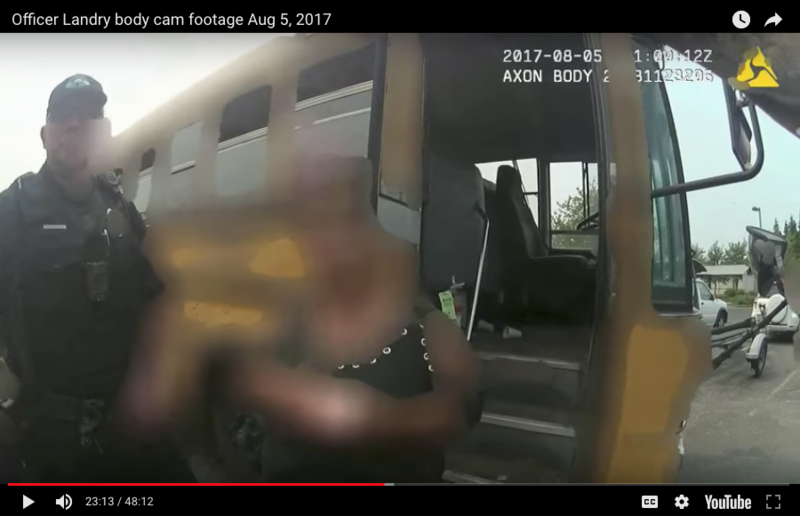 The Bellingham Police Department took the unusual step of releasing officer body camera footage involving the workers from Sarbanand who traveled to Bellingham under the direction of Community2Community. The union activists distributed false information about the police action, accusing them of threatening the workers with deportation. The Department released this footage to counter the false information being distributed.